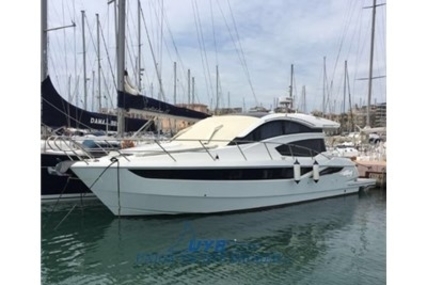 The Galeon shipyard is one of Europe’s premier yacht-builders, a private company specialized in the design and construction of high-end luxury yachts and motorboats with handcrafted excellence since the year 1982. 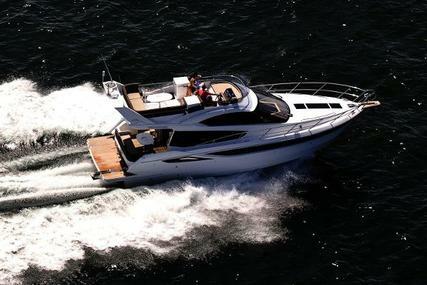 The thirty-six years of experience and excellence in quality has led Galeon to meet worldwide success. 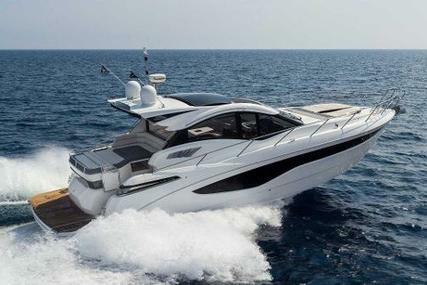 Galeon has gained recognition for their great designs, superb workmanship, innovative features throughout their history and they pride themselves in their willingness to improve, work with clear vision and focus on paying attention to details. 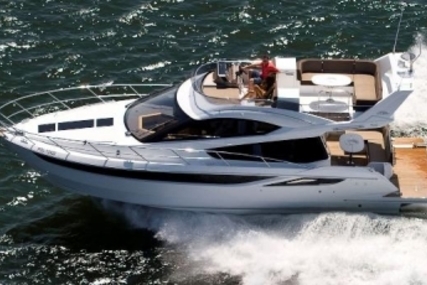 Each Galeon yacht is unique and a work of craftsmanship and excellence. 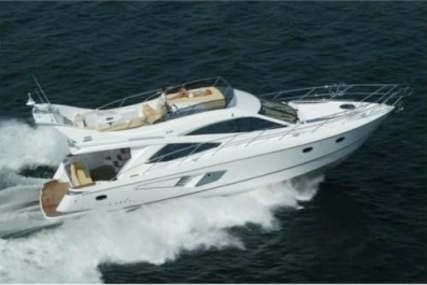 The dedication and commitment to quality have led to the spectacular growth of Galeon that also helped in attaining satisfied customers around the world. Galeon builds quality products, implements the latest marine technology available using the finest components and it pairs its years of experience in constructing luxury yachts with the wisdom and knowledge of few of the best designers in the business. The designs conceived by top naval architects like Tony Castro and Roberto Curtò, guarantee incomparable modern styling and enjoyment with complete satisfaction. From being just a project on the drawing board to a finished product, every single Galeon yacht model has gone a long way to render beautiful and unforgettable experiences. The whole production process is very closely supervised to meet uncompromising quality and safety standards. In order to please even the most demanding clients, all the divisions in the Galeon shipyard have specifically determined goals and tasks. Galeon is committed to quality, brilliance, leading technology and design which makes every single Galeon yacht exceptional. Galeon shipyard has direct access to the Baltic sea and is one of the largest European yacht manufacturers who strives to become synonymous with superior quality, best features, handcrafted excellence, unparalleled attention to detail, cutting edge technology and impressive designs. 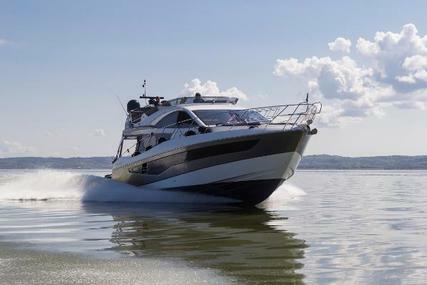 With more than 3 decades of experience in the business and numerous happy customers from all around the world, you can be confident that your Galeon yacht will meet all your expectations on water. 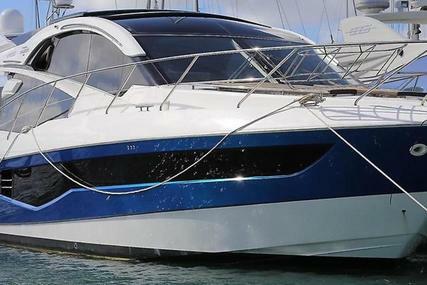 So, select from the many Galeon yachts for sale listed at www.rightboat.com and step aboard to make mesmerising memories with your friends and family. 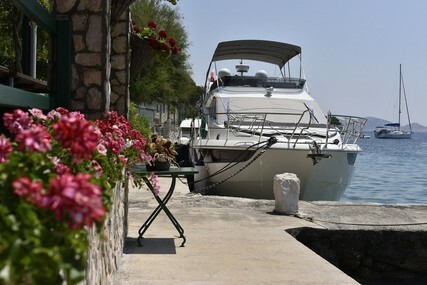 And if you have a pre-owned Galeon yacht, you can sell your yacht online through www.rightboat.com where your selling is made easier and simpler. 1. 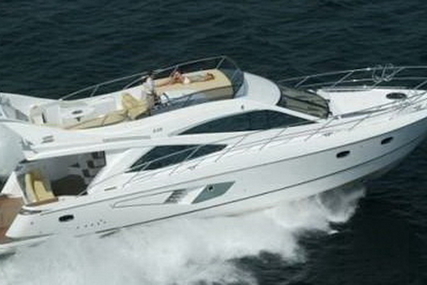 When was Galeon yachts established? 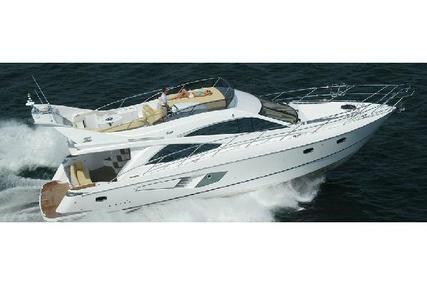 Galeon yachts was established in the year 1982. 2. 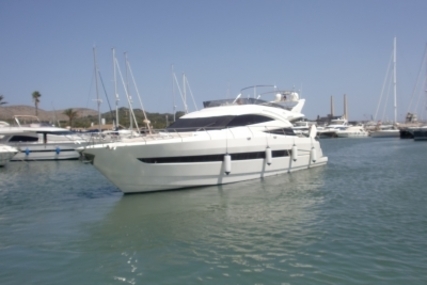 Where is the headquarters of Galeon yachts located? 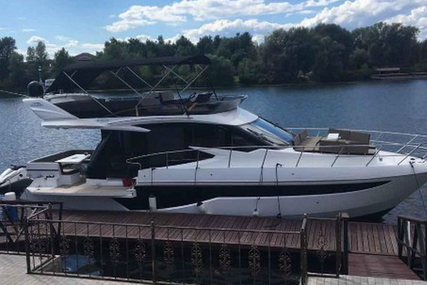 The Galeon yachts headquarters is in Danzig, Poland. 3. 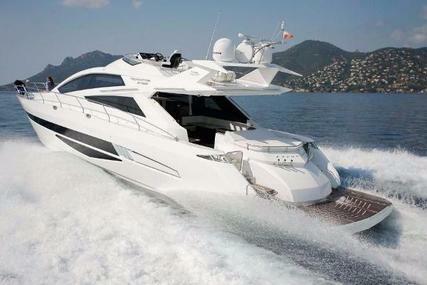 What are the special features of the Galeon Sport Cruiser range? 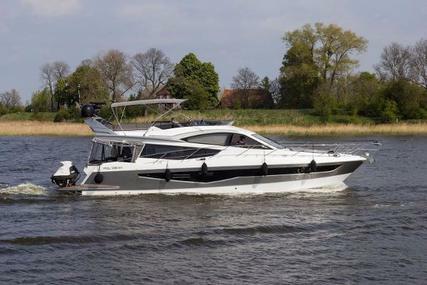 The Galeon sport cruiser range grabs attention with its thrilling exterior, sleek line and an open deck layout where functionality and comfort take precedence. 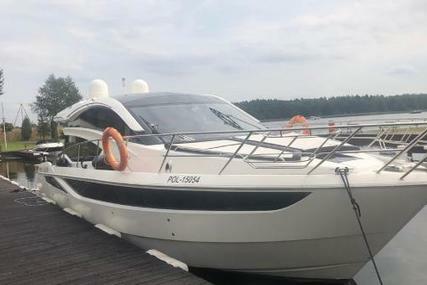 The well defined and dynamic sport cruiser line is definite about its purpose and target audience who are the adventurous, fun-seeking ones, welcoming the sense of speed and great performance. With zero in the interior space accessible to the passengers, it offers an exciting and sporty look in a dense frame with great handling capabilities, intuitive functionality, exemplary performance, and stunning looks. 4. 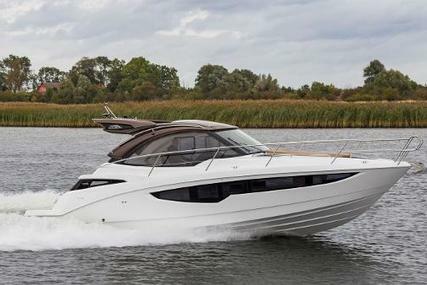 What are the special features of the Galeon Hard Top Sport range? 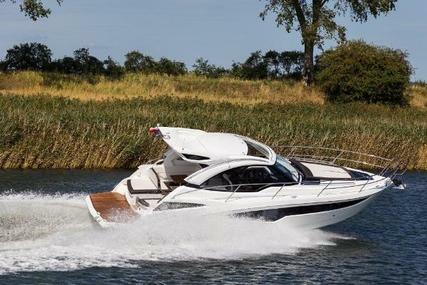 The sleek and nimble Galeon hard top sport range was produced to present more intrusive features as compared to the leisure-oriented flybridge variant. 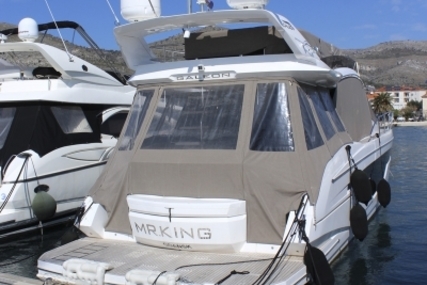 The two yacht ranges share an identical interior layout with a notable variation of the existence of an automatic glass roof over the helm station. 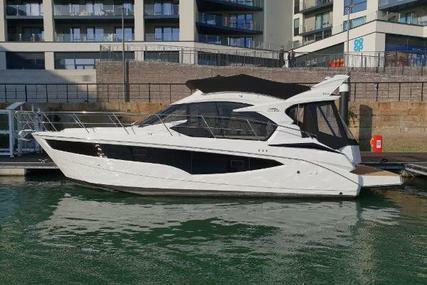 It offers a distinguishable, sporty exterior matched by its bright and welcoming interior, exciting performance and flawless design which is sure to please all yacht enthusiasts and adventurous passengers. 5. 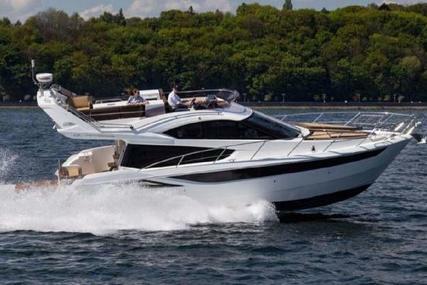 What are the special features of the Galeon Flybridge range? 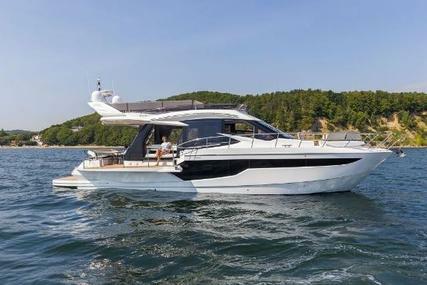 The Galeon flybridge models offer ingeniously unique features and are sporty with aggressive lines that rapidly grabs the eye with its hull-length windows and flybridge consisting of expansive seating and classy appealing presence. The quality finish of the interior and the splendid exterior of the flybridge range suits the taste of both, sport enthusiasts as well as conservative clients and the magnanimous side decks and practical handrails are great for the crew while operating in rough seas. 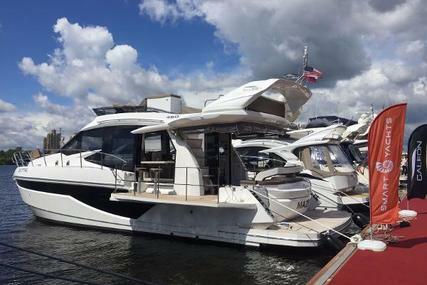 You are sure to have an awe inspiring experience with family and friends with all the luxury and craftsmanship in Galeon flybridge models. 6. 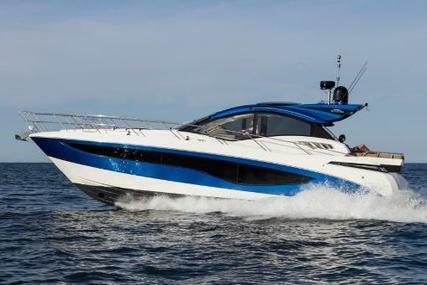 What are the special features of the Galeon Skydeck range? 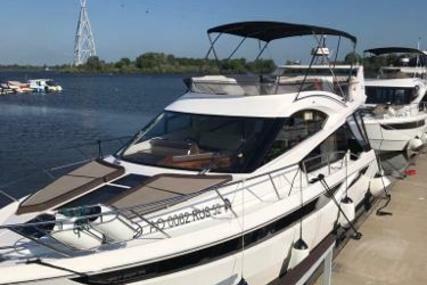 The Galeon skydeck models are the recently developed yachts by Galeon with a refreshing top deck design that amalgamates the ease of both, the flybridge and hardtop versions. The skydeck range offers stunning performance and a class leading interior space with a sleek look utilizing the available space in the most productive and valuable manner. It consists of broad windows that brightens the interior and creates a greeting atmosphere for all the passengers to enjoy onboard. You can experience the power of innovation and enjoy luxurious accommodations with an incredible performance in the Galeon skydeck range.